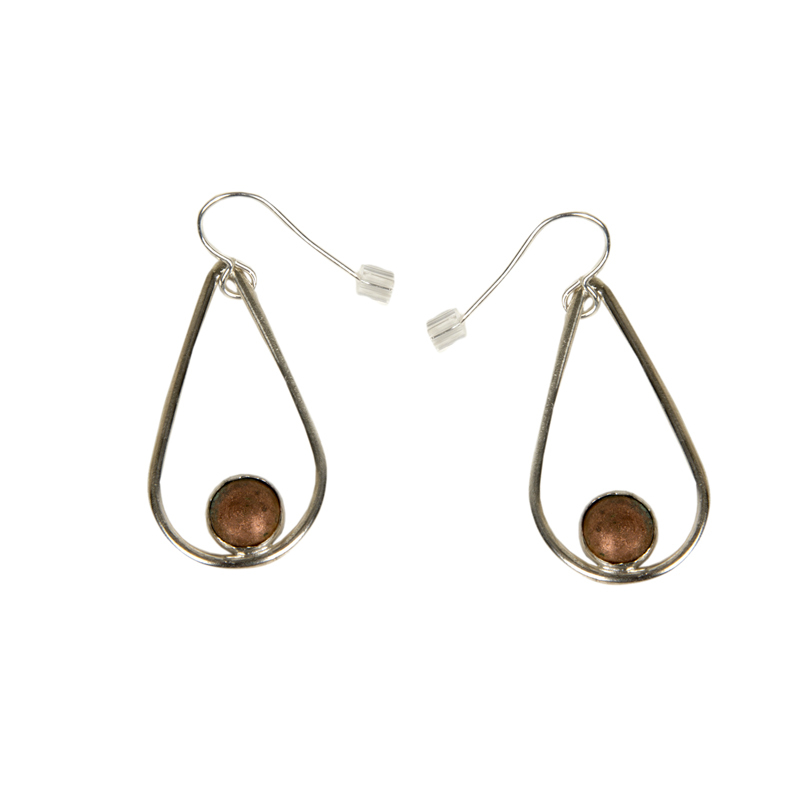 These delicate silver and copper teardrop earrings feature a bevel set piece of rich copper in variegated colors. The historic copper comes from the roof of the Kansas State Capitol. Replaced in 2013, the copper was made available to the Kansas Historical Society and Kansas Historical Foundation for use in products to be sold in the Capitol Store. By Tobias Jewelry Designs of Topeka, Kansas.